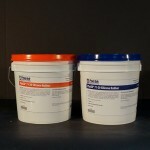 PlatSil® 71-20 is a fast-curing, 1A:1B mix, mid-range hardness platinum silicone liquid mold rubber. Molds made from PlatSil 71-20 are quite flexible and are great for intricate models with undercuts. PlatSil 71-20 molds are often used for resin casting (polyurethane, polyester, epoxy), wax casting and plaster casting. Common applications include prototyping, model making, hobby reproduction, taxidermy, soap and candle making and much more. Release agents are not necessary for casting most materials. 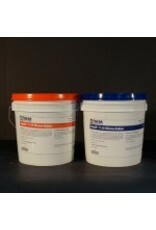 Pour as supplied or thicken for brush-on molds using PlatThix liquid thickener. 1A:1B A20 25 min. Light Purple 12,000 cP 24.7 in³/lb 4 hr.